Scott McKnight has authored many books and blogs on a regular basis. This blog holds a place in my regular/daily blog intake. The whirlwind of holidays is over now; or more accurately, recovery from the whirlwind of holidays is now complete. The past month saw me bouncing around the suburbs visiting family, enjoying the eerie quiet that consumes the vacated campus, hosting visitors for New Years and breathing the beautiful snowy air of Upper Peninsula Michigan. As usual I received an unholy amount of gifts from my family – including gift cards meant for a Nintendo Wii, which Best Buy has yet to get in stock. Among my gifts, Settlers of Catan, firefly and multiple excellent books. With the cash-money my job provides me I was able to buy things for people that were along the lines of their desires and meaningful to them – my brother got a burr grinder which was hard for me to part with since I so badly wanted it for myself. Enjoy it Chris! 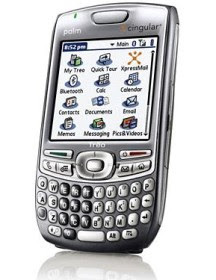 I’ve decided to keep it and commit to buying an iPhone as my next over-powered-all-in-one-cellular device. I leave you now with this wonderful picture of me holding my baby. Chris documented the UP Snowboarding trip pictorially with his new camera, you can find some of them in his Picasa Album. You are currently browsing the nicknamy.net blog archives for January, 2007.